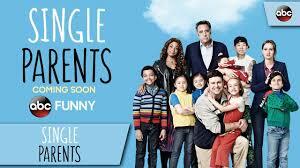 New Show 'Single Parents' Is Hilarious! New Show ‘Single Parents’ Is Hilarious! Maybe it’s because I’ve been a single parent for 11 years, or maybe it’s simply because I am a parent (regardless of marital status), but when I saw the preview for the new ABC sitcom, “Single Parents,” I laughed hysterically. The show, with stars that include Brad Garrett, Leighton Meester and Taran Killam, premiers on Sept. 26. It looked so good to me that I reached out to ABC to see if I could get a sneak peek at the first episode and learn more. Not only did they send me the first episode (which was even better and funnier than I expected) but I had the pleasure of interviewing the show’s co-creator and one of its executive producers, J.J. Philbin. “Refreshing,” “hopeful,” “truthful,” “heartwarming,” and of course, “funny” are words Philbin used to describe “Single Parents,” and I completely agree. The show is about a group of single moms and dads — all with unique backgrounds and personalities, who bond together to help raise their first-graders while trying to find a life for themselves outside of parenthood.